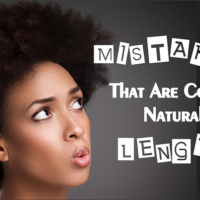 What Are Realistic Expectations For High Shrinkage 4b 4c Hair? 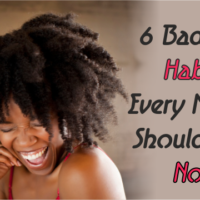 What Are Realistic Expectations For High Shrinkage 4b 4c Hair? 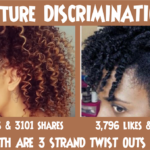 What Are Realistic Expectations For High Shrinkage 4b 4c Hair? When you hear the term ‘realistic expectations’ there is almost a tinge of negativity to it right? It might not be that bad but when the words ‘let me bring you to reality’ is thrown around with that one wagging finger it indicates somehow you were living in a bubble, that the real thing is not quite as nice. Its kind of like when your man says to you, well don’t get your hopes up let me set your expectations, implying that the way things are may not be what you imagine them to be. But if you are a smart girl, you will welcome that sort of reality check, because truth be told you probably have some reality checks you can dish out to him too, but that’s a whole other post. 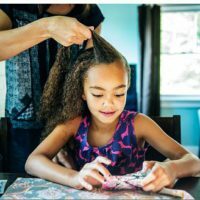 From the title of this post you may feel a bit slighted if you allow yourself to but you shouldnt, it is actually a great thing to know what to really expect from your hair so that you can set the right goals. I don’t know about you but ever since I discovered what my hair actually likes, and not what I wanted it to like, things have been a lot easier on wash day, my pockets have been a little heavier with all the cash I’m saving and I am less stressed about what the next chick is doing. 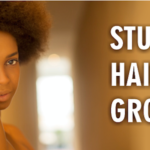 What then are the realistic expectations for high shrinkage 4b and 4c hair? 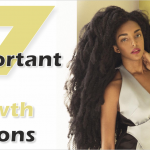 Following I have compiled a list of the most common realizations that you may come to as your healthy hair journey progresses. 1. 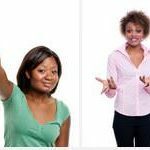 You may never have hair that shrinks to BSL – This is a common theme that we hear from women regularly. 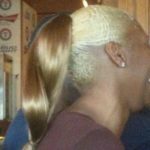 We don’t want to have to deal with stretching our hair all the time so how about we just grow our hair long enough so that when it’s shrinks, it will still be BSL? But the truth is that if you have the teeny tiny curls that are typical of 4b and 4c hair, your hair will retain the ability to shrink up to your shoulders even when your are at waist length stretched, and as crazy as that sounds it is an absolute fact. This means a couple of things, for one you might have to have your hair grow to your knees before you see BSL shrinkage, something that genetics may not ultimately allow. Your 4b 4c hair also swells a lot when it is wet and not only does it swell more as a unit but individual strands swell as well and so full shrinkage shouldn’t be something that you allow your hair to do regularly. Your focus should be always on healthy stretching techniques to keep your hair organised and mostly tangle free. 2. You may never be able to pull off a curly ‘do that lasts all week without restyling – Yes when you have hair that loves to shrink then your natural texture will fight against you and any style that involves a large deviation away from your natural curl size. That means that without an industrial amount of holding gel, you will probably find yourself having to restyle your hair every other day to keep the same style all week. 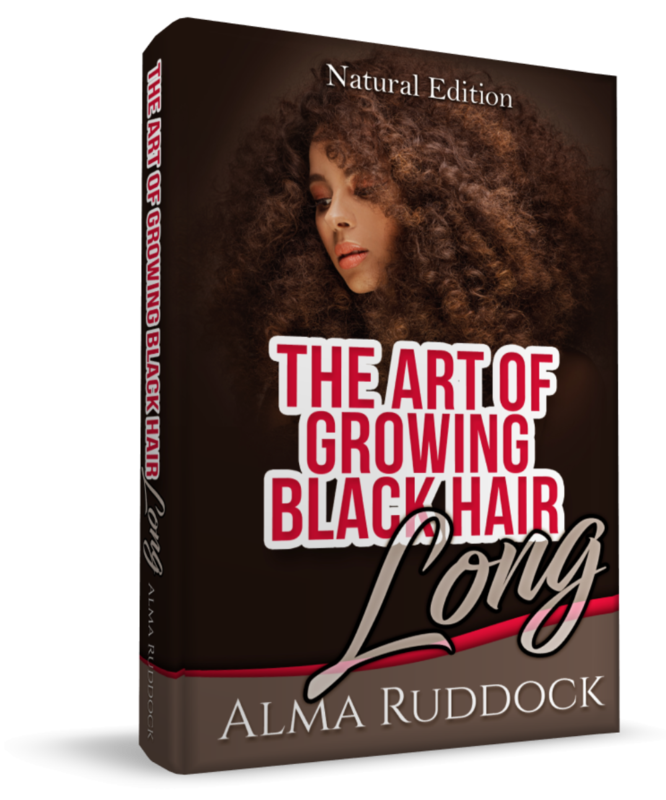 Black Hair Information > Recently Added > BY TYPE > NATURAL HAIR > What Are Realistic Expectations For High Shrinkage 4b 4c Hair? Learned this the hard way… Twist Out look like crap in my hair ..I will never be able to do a wash and go .. I have 3 hair types and no matter how much I condition or whatever it will always be like this …. As I think about it I would think a good amount of Black American women would ….Your typical Black Person here in America are Mixed with some form Native American..White ..South American and may have these issues .. Is there any help online ? Just let the hair do what it do! 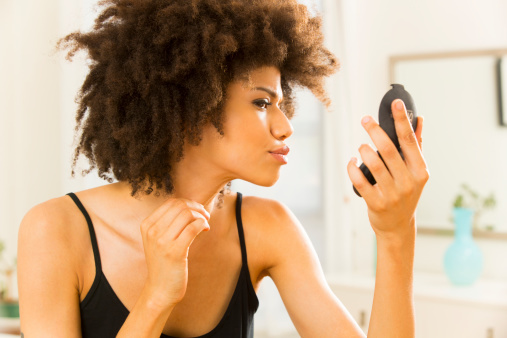 Why is shrinkage such a problem? 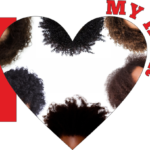 It’s the way natural hair is….natural! I use to have this thought as well but gave up the fight and I’m much happier letting my hair be! At this time, shrinkage don’t bother me. I’m protective styling for two years. My hair grow like a weed when it’s protected. Never have I ever been concerned about shrinkage. When I was natural in high school, in college, never. I wasn’t even concerned with hair typing. 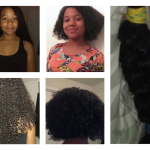 It’s not a bad thing to have shrinkage, it works in our favor with wash n go’s. The shrinkage makes the style look likeva fresh cut. (I do them almost daily.) Wearing a style more than a few days isn’t an issue either, I wash my hair 4 times a week or so. I really enjoy my shrinkage because I can go from picked out fro to pixie cut all in the same week if I choose. This actually makes sense. I embrace the shrinkage I have. It’s how my hair is. I’ve slowly been learning what works. Don’t like shrinkage unless I’m doing finger coils! 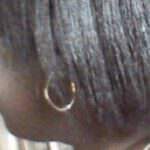 Wash n go’s are a no no, my ends tangle and knot! I need my ends to be stretched! Flat twists, twists, Bantu knots work for me! My problem with shrinkage is my tangles. LOL, thought I was going to do a braid out that would change my life. WRONG! Epic fail. I wanted to cry. All that work I did Friday to have it be a disaster today. I went back to my tried and true 2 ponytails with puffs. Come Monday, I will be back to my bun until I get braids. I won’tbe trying a braid out or a twist out anytime soon. Oh yeah you might want to try doing it on dry and letting it stay twisted for 2 to 3 days. Thank you for this article!! I thought I was doing something wrong every time I did a twist out or braid out. I would even watch YouTube videos to as I did them to make sure I was doing them right and each time, they came out a hot mess. Roller seting has proved to be disastrous too. The confirmation on using Coconut Oil is welcomed. I found that the heavy oils DO weigh my hair down and whenever I use any product with Castor Oil, my hair immediately rises up and revolts by breaking off to the root! Now I understand why. Thank you, thank you, thank you! 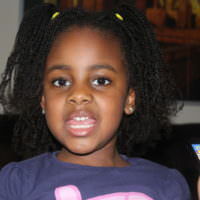 Hello to you and all 4c/4b/4a Naturals. 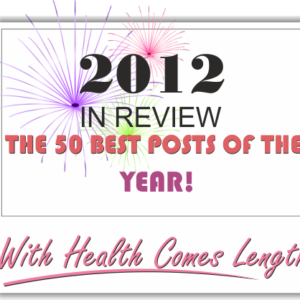 I want to share with you this regimen. Look up the Max Hydration Method. This regimen systematically increases moisture retention by controlling all the factors that effect absorption on water in the hair cortex, until max hydration is reached. This is the ideal regimen for low porosity type 4 hair, and especially 4c textures, as most often they have the most trouble absorbing moisture. No it will not loosen ur texture, but those pin sizes curls are there and this method will make then clump from root to tip no product, aka, reach max hydration. By the way, there are several before and after testimony pictures throughout post from the link above. 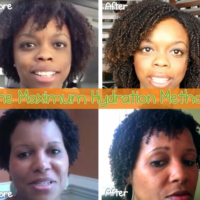 also details of Max Hydration method 5 step regimen, and more factual information, explanations to why it works, testimony, and before and after PHOTOS. 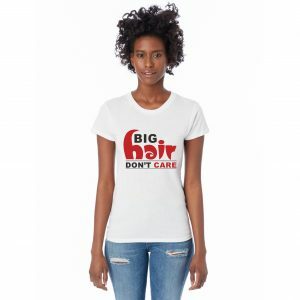 A lot of the time when wash and goes are done on type 4 hair that isn’t maximally hydrated, the hair does not clump, and looks almost like there is no product in it, or a shrunken clump-free fro. This lack of clumping, is soley caused by lack of moisture retention in the cortex. 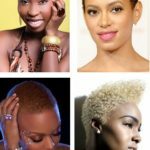 Many ppl do not get that they aren’t efficiently introducing moisture to their hair. With lack of moisture retention in the cortex, the hair is very lightweight. The more lightweight your coils are, the more prone they are to over-shinking. So you’ll have a 4c coil that not only springs into a tight coil(which it is supposed to do), but also repeatedly, and randomly loops back over upon itself(which it should not be doing). 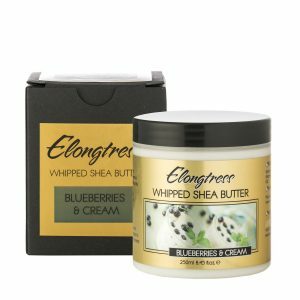 This causes the individual coils to be unable to have a uniform pattern down the strand, and also makes it so you get prone single strand, two strand knots, matting, locing, tangling, and breakage when you try to wear your hair loose. Single strand knots also make the individual coil strands want to bend in weird angles further disrupting the uniform pattern of the hair strand. Over all with all these different strands bending and twisting and randomly re-looping upon itself, it makes it impossible for the coils for form a uniform pattern that will readily clump together. This effects the way your styles come out, twist outs, wash and gos, etc. It helps to think of each strand like a puzzle piece. The Maximum hydration method, actively retains water in the cortex so hair reaches it’s maximum potential. 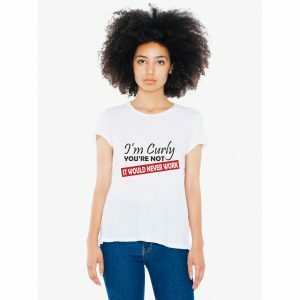 Once you retain water in the cortex, your hair isn’t as lightweight, so many of the negative impacts of lightweight hair that effects type 4 hair, doesn’t actually happen. MHM wash and gos are actually the ultimate protective style. The gel works to hold the clumped curl perpetually in that state and prevents it from tangling on other curl units. This makes it more effective in retaining length. I remember doing small twists and various protective styles, where they would actually encourage knots, dryness, and split ends, and i end up trimming and pulling all my retained length away. It was very frustrating because it took a lot of discipline to hide my hair most of the time, only to not get the results i expected. Also it was time consuming. Where as now my hair seems to be growing at a faster rate than it was before, and I don’t get those single strand knots and matting anymore, and it doesn’t take me forever to detangle my hair. Watch this video, especially toward the end(@6:40), where aketafitgirl gives a really good visual about how wash and gos are the ultimate protective style. This is what Completely Product Free type 4 hair that has total maximum hydration looks doing techniques from MHM regimen. I totally agree with everything @Pinke said. I watch Aketafitgirl all the time. Once there is maximum curl hydration it doesn’t matter how tiny your curls are they will rock. Please watch her videos and follow her suggestions. You will see results. You can’t help but be inspired by Aketa. Can you clarify? why is this bad? Yes. If I want big hair, I blow it out before twist- out. I also protect it from moisture ( steam, rain, sweat, etc) by re-twisting every night and pulling it away from my face and neck when I work out. When I change it to another style, they marvel at how versatile my hair is and how I am able to get it to be in a different style and at a different length and it is all still mine. 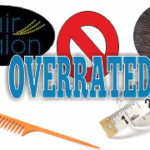 Since as you we all know they can not be as versatile in the same manner as we can with their hair. Only my closest coworkers ask the questions, but I know that the word does get around to everyone about my hair. Even the ones that are too afraid to ask. It’s weird reading this when you don’t have 4b 4c hair . I don’t have 3a 3b hair either I’m stuck in between 3c and 4a multiple textures . This information is still useful to me though .